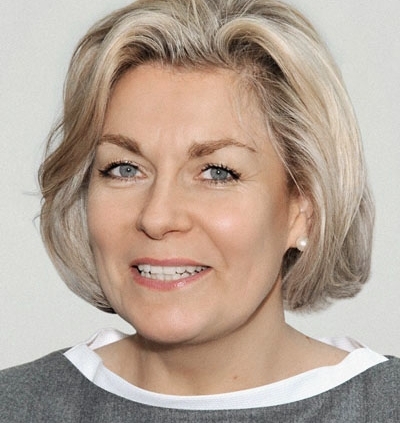 Dr Katrin Pickenhan is the Chief Operating Officer of the dfv Euro Finance Group. In this capacity, she is responsible for the conference management of the Group, leads the team of Project Managers and manages select key-account relationships. She has been a member of the Management Team since 2005 where in addition to her role as head of the conference management, she implemented new conference formats and was in charge of conference marketing, human resources and general administrative tasks. She joined the company in 1999 as a personal officer to the Managing Director where she was entrusted with key client relationship management. Before joining dfv Euro Finance Group, she conducted research and taught within academia. Katrin Pickenhan studied history, political science, and German literature at Bonn, Kalamazoo (Michigan, USA), Berlin and at Yale University (USA). She holds a Masters and a Doctoral degree in Modern History from the Free University Berlin.